A study published this month finds that roughly "one third of all subjects are dishonest" if others in their group are too. "Having only one dishonest group member makes the vast majority of these conditional liars switch from being honest to being dishonest," conclude researchers from the University of Cologne. The study on how dishonesty spreads in business settings finds "other people's dishonesty is the key factor for one's own decision whether to be dishonest." Moreover, for both conditional liars and always liars, "the size of a lie increases with the number of dishonest group members that one faces." Discuss among yourselves the name-brand family business now under federal investigation and what the one-third figure suggests about its associates, its fans, and the sitting president's poll numbers. Mehrbani was testifying on H.R. 1, or the For the People Act, a 571-page voting rights and anti-corruption bill introduced as the first piece of legislation from the new Democrat-led House. Key provisions of that bill address voting rights many Americans have never been able to take for granted. "Let's be clear. Voter suppression is real," former Georgia gubernatorial candidate Stacey Abrams said in the Democrats' State of the Union response. "From making it harder to register and staying on the rolls, to moving and closing polling places, to rejecting lawful ballots, we can no longer ignore these threats to democracy." Among the provisions affecting voting and voting rights are those requiring online voter registration, automatic voter registration, and same-day registration for voting in federal elections; a requirement to use independent redistricting commissions to draw congressional districts in each state; limitations on voter purges; an end to felon disenfranchisement for federal elections; protection against intimidation and false information surrounding elections; improved access to voting by persons with disabilities; a set of improved cybersecurity standards around voting and voting systems, including a requirement that all voting systems produce a paper trail for auditing and checking results; and a ban on a state’s chief election officer engaging in political activities connected to federal offices. 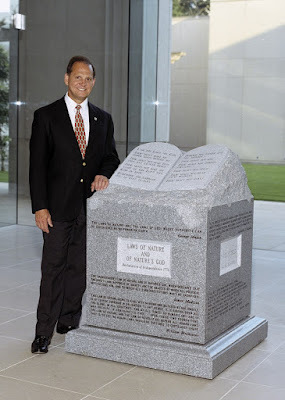 In this post-truth, post-ethics administration, as much as it once seemed superfluous, it is now incumbent upon Congress to spell out in law rules of common decency we once took for granted people learned to abide by at their parents' knees, if not from replica stone tablets the religious right insists be installed in courthouses. The New Yorker's Jelani Cobb observes that a president renowned for lying has not only assaulted the free press, the judiciary, and the U.S. intelligence communities, but basic mathematics. Roughly three million more voters cast ballots in 2016 for his female opponent, the same number of non-citizens the sitting president alleges without evidence voted illegally. Nearly two million fewer African-Americans voted in 2016 than in 2012, Cobb notes, perhaps because Barack Obama was not on the ballot. But it also could be those two million went missing because of an assortment of voter suppression measures passed in states since the Supreme Court in Shelby County v. Holder voided portions of the Voting Rights Act. "The equation here is: reality minus delusion equals three million," Cobb concludes. How many assert the delusion because the boss does?